New body shop for Yrausquin FORD car dealer in ARUBA with FixLine formula, Symach supplies 100% of the equipment, (SprayTron, Easydry, Flydry, CarMover and ShopLine) the shop can produce 50 jobs per week and Symach installs and trains the customer on site using our international team. Symach is specialized in building new bodyshop all around the world using FixLine formula high productivity and fast key to key time, we are first of all consultant in organization and repair process, as well as we support new customer training all the staff using new process and the new equipment to reduce cost of reparation, improving quality and performing an amazing key to key service. 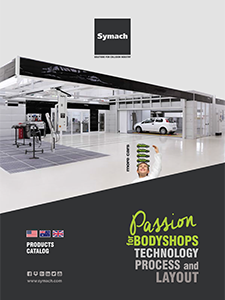 It is first installation for Symach in Caribbean, the technical negotiation to develop a perfect solution for the customer has been done with Richard Every, the bodyshop manager, that we thank very much for his trust in Symach.